Do you know what a microtubule is? 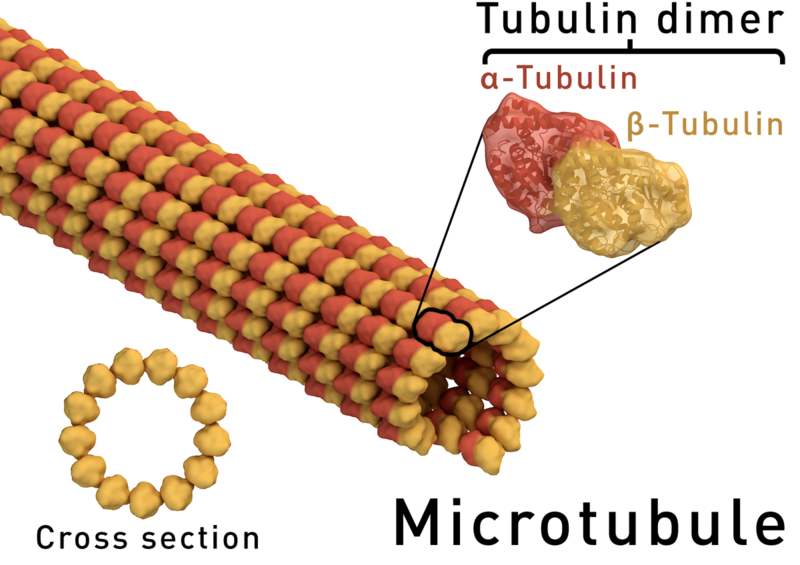 If you could dream up the most complex way to make a tube, microtubules are it! Assembling a microtubule is about as complex as assembling a car, and there are thousands of them in every cell, in every living thing. If you aren’t super interested in the detail, all you need to know is that trifluralin kills plants by binding to microtubules and stopping cell division. AHRI researcher Qin Yu and her team of Chinese PhD students have recently identified the exact mutation in microtubules that stops trifluralin binding to them and causes 4 to 8-fold trifluralin resistance. One tiny change to the protein structure is enough to stop trifluralin binding to the tubulin protein allowing the ryegrass to survive. If you are into detail and want to dig a little deeper and find out how trifluralin works and how microtubules are made, read more below. 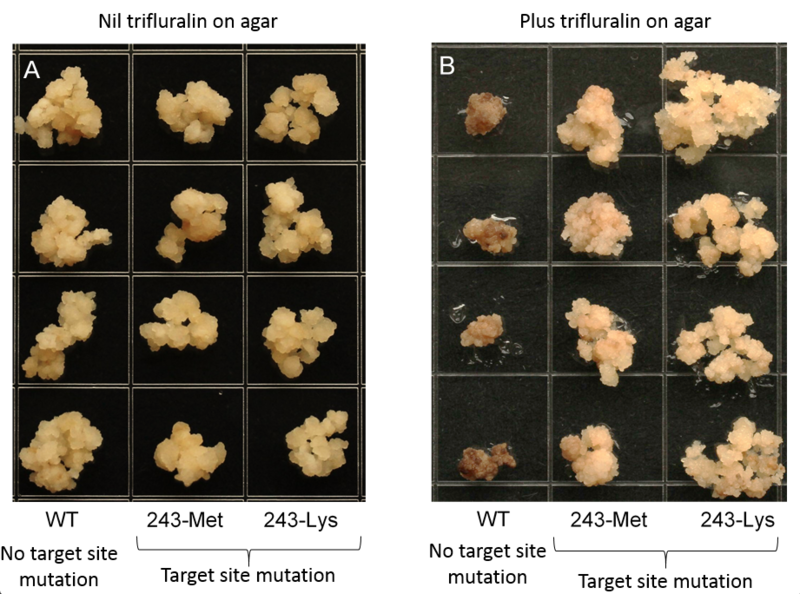 Trifluralin targets cell division, particularly in the growing roots of the weeds. 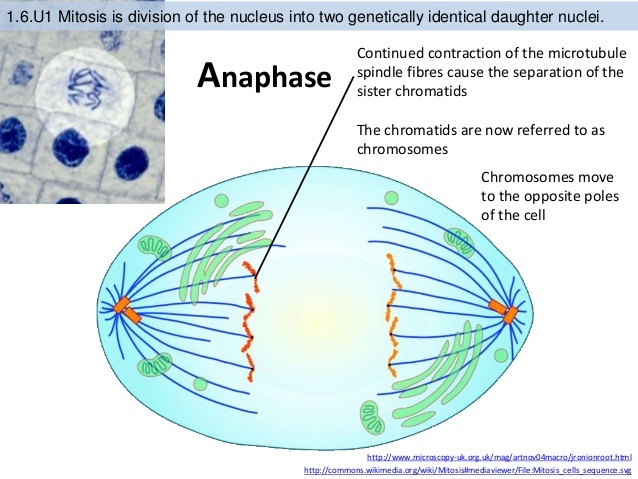 If you’ve ever studied biology, you may remember that the process involves the chromosomes in the nucleus duplicating, then they are pulled apart by strings called spindle fibres that are made out of microtubules. The microtubules contract, pulling the chromosomes apart. Trifluralin targets these microtubules. There are two types of proteins: structural proteins and functional proteins (enzymes). Most herbicides target enzymes, but trifluralin is different; it targets the structural microtubule proteins. Microtubules have a range of roles in the cell, including their role in cell division. They are made out of proteins. The diagram below shows just how complex these tubes are. Figure 2: Diagram showing how alpha tubulin is made. Trifluralin kills plants by binding to the alpha tubulin protein and interrupting the assembly of the microtubules. At this stage, we don’t know exactly how trifluralin stops the microtubules forming. Now that we understand what is going on inside the cells, we can now talk about how trifluralin resistance works. 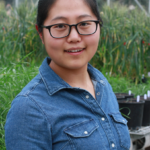 AHRI PhD student Jinyi Chen and others took a trifluralin resistant ryegrass population and identified that it had two different mutations on the alpha tubulin gene. In simple terms, when assembling the several thousand amino acids that make up the alpha tubulin protein, there was a single mistake in the DNA that meant that the wrong amino acid was inserted. This changes the shape of the protein ever so slightly such that trifluralin can no longer bind. The latest experimental technique used by molecular biologists to test for target site resistance is very tricky. The researchers take the gene in question out of the ryegrass and expressed it in rice calli. What is rice calli I hear you ask? Think stem cells. Calli is rice tissue culture that is grown on agar. This calli is like stem cells that you may have heard of that can differentiate into any part of a rice plant. By expressing the gene in the calli, the researchers know that there is only one single mutation in the tubulin gene in genetically altered calli. This way they can treat with the herbicide in question and confirm, with absolute certainty, that it is this single mutation that is causing the resistance. Figure 3: Picture of rice calli growing on agar with and without trifluralin. WT = wild-type (normal, susceptible calli). 243 = the mutation happened at amino acid number 243 in the protein chain. Met / Lys = the amino acid that was mutated at position 243. This 243 mutation causes about 4 to 8 fold resistance to trifluralin in rice calli. We also know from other research by Jinyi Chen (AHRI PhD student) as well as Dr Chris Preston’s team at the University of Adelaide that another mechanism for trifluralin resistance exists, enhanced metabolism resistance. More about this in a future edition of AHRI insight. We could say that it is just a simple target site mutation that stops trifluralin binding to the alpha tubulin protein that causes resistance to this weed. Or we could marvel at molecular biology and the scientists who study it and be truly amazed at what is happening at a molecular level that allows plants to evolve resistance to our very precious herbicides. You can read more about the paper Novel Tubulin Mutations Conferring Resistance to Dinitroaniline Herbicides in Lolium rigidum and download it here. What matters more? Crop sequence or seeder?